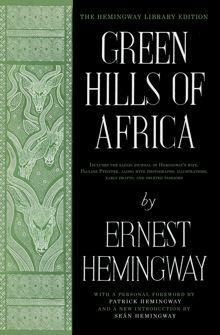 Richard Brody at the New Yorker offers a piece on Ernest Hemingway's Green Hills of Africa. Unlike many novels, none of the characters or incidents in this book is imaginary. . . . The writer has attempted to write an absolutely true book to see whether the shape of a country and the pattern of a month’s action can, if truly presented, compete with a work of the imagination.